We’re a few weeks into summer, and my kids are starting to get bored. 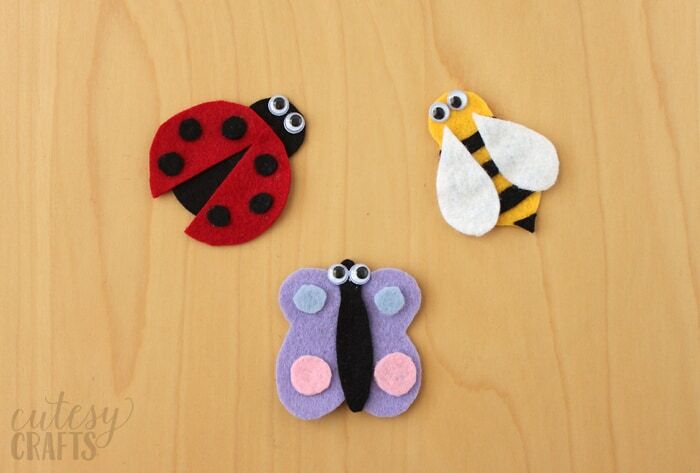 They are interested in felt crafts since they see me using it a lot, so I thought I’d come up with a craft for them to do. 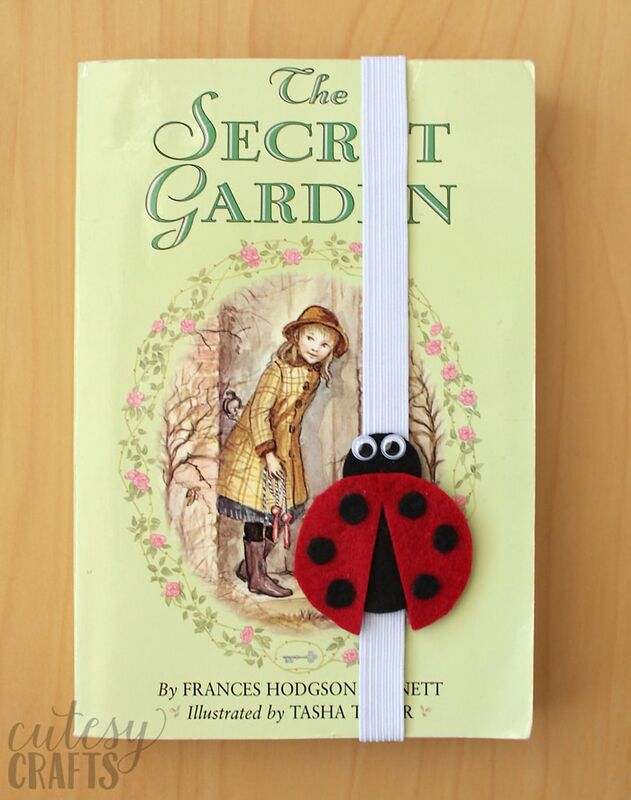 We made these fun DIY bookmarks that are similar to the felt flower ones that I made a couple months ago. I’m also trying to keep them reading a lot this summer, so it’s a win-win. 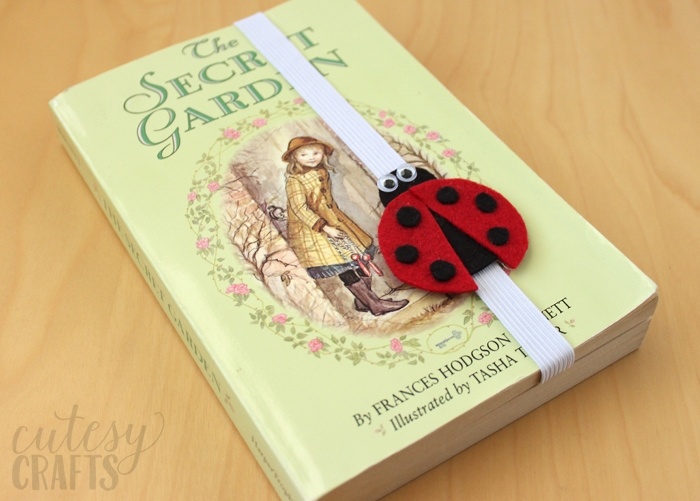 When they finished making their bookmarks, they all went and got a book to read! First have the kids cut out the shapes using the patterns. 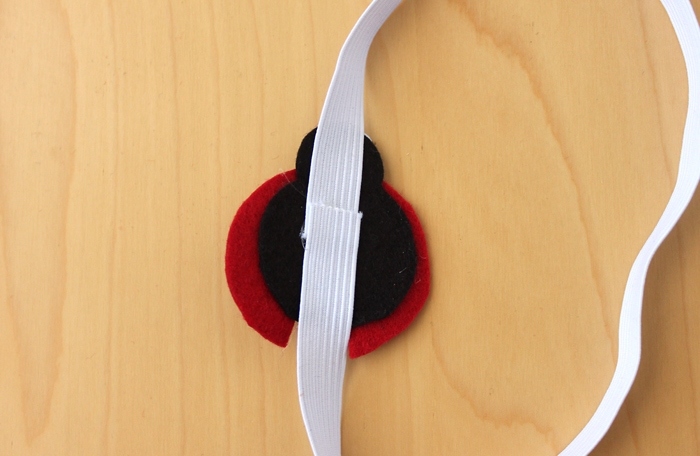 I find it’s best to tape the pattern piece to the felt and then cut. It helps hold everything in place. Use the school glue to glue all of the pieces together and let it dry. Cut a piece of elastic 16 inches long. 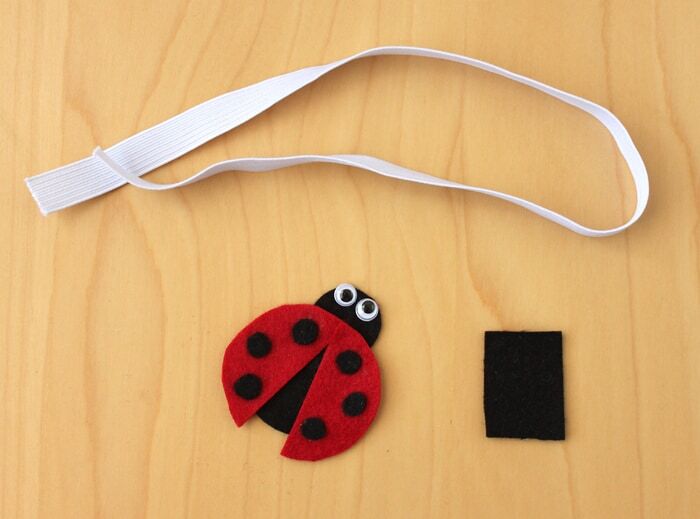 Cut a rectangle of felt that will fit on the back of the bug. 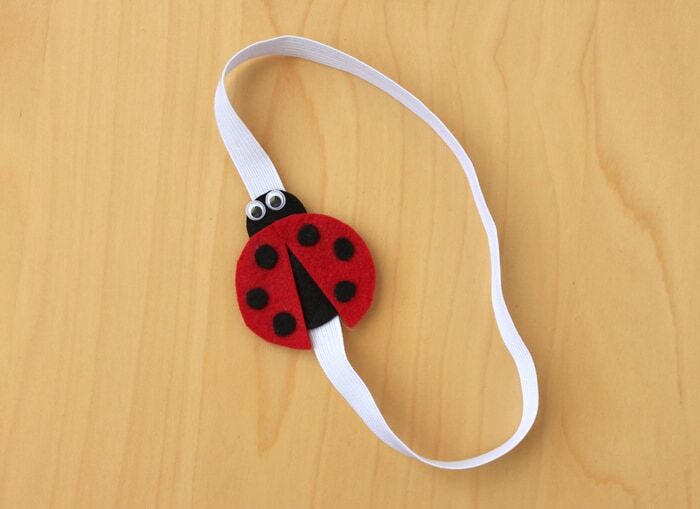 For this part, the little kids will need some help with a hot glue gun. 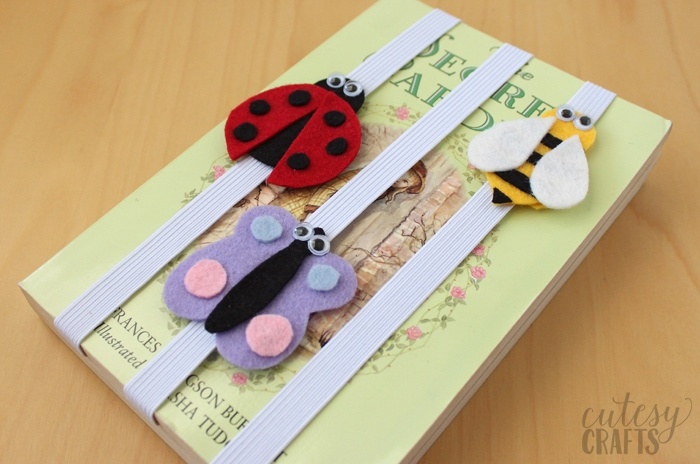 Glue the elastic like in the photo below. 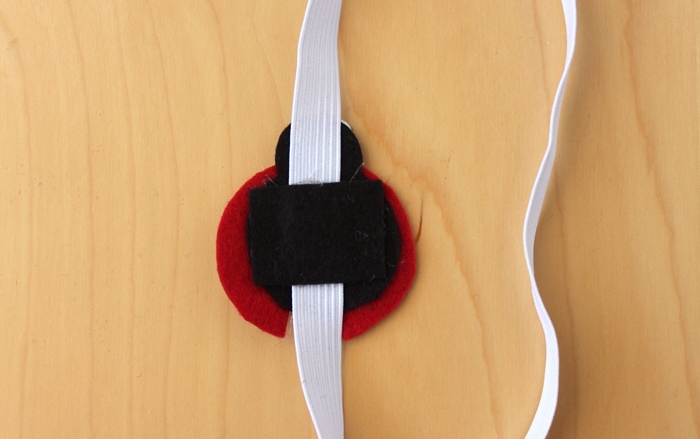 Glue the rectangle of felt over the elastic to cover the ends. The girls thought it was fun to also wear them as headbands. Haha! I guess it’s a good place to keep it while you are reading. 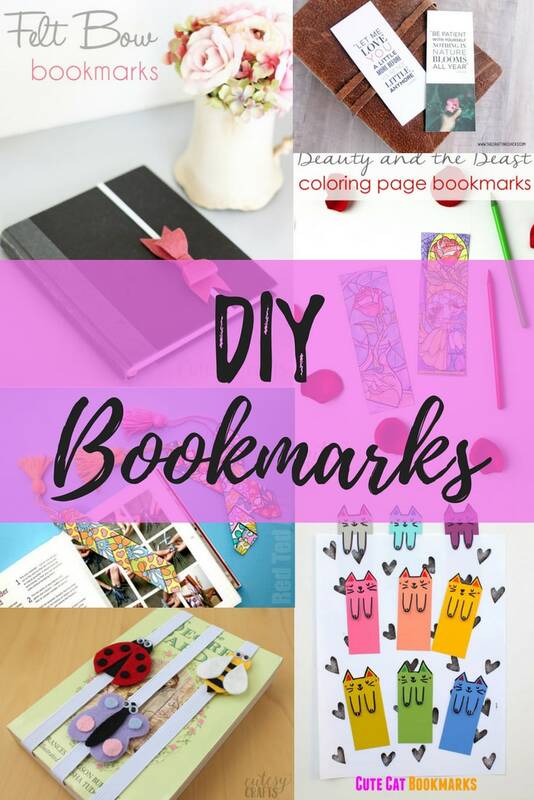 Also take a look at these other DIY bookmarks. Before you go check out all the other summer fun posts that are joining the series today. 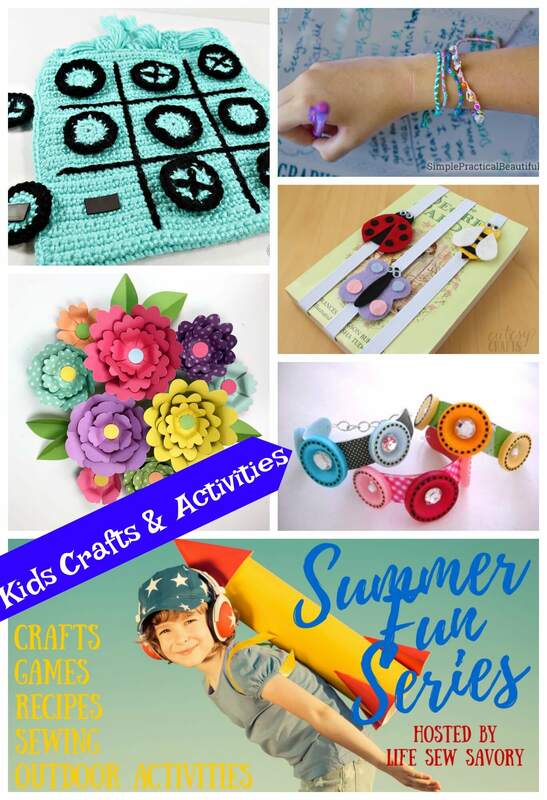 As always you can find lots of summer fun inspiration and ideas on Life Sew Savory.